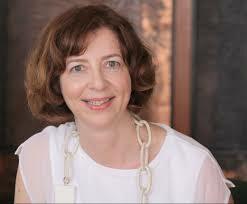 Claudia Juech is associate vice president and managing director for Strategic Insights at The Rockefeller Foundation. She joined The Rockefeller Foundation in 2007 and currently leads the work to maximize insight—both internally and externally—from the various channels the Foundation uses to learn about new ideas. She speaks with the Philanthropy Hour today about the Scan and Search model, the strategic insights they are gaining from this approach, and how it is leading to effective and impactful philanthropy. For more than 100 years, The Rockefeller Foundation’s mission has been to promote the well-being of humanity throughout the world. Today, The Rockefeller Foundation pursues this mission through dual goals: advancing inclusive economies that expand opportunities for more broadly shared prosperity, and building resilience by helping people, communities and institutions prepare for, withstand, and emerge stronger from acute shocks and chronic stresses. To achieve these goals, The Rockefeller Foundation works at the intersection of four focus areas—advance health, revalue ecosystems, secure livelihoods, and transform cities—to address the root causes of emerging challenges and create systemic change. Together with partners and grantees, The Rockefeller Foundation strives to catalyze and scale transformative innovations, create unlikely partnerships that span sectors, and take risks others cannot—or will not. Philanthropy for Social Change case study on Scan and Search. More information on the YieldWise initiative, reducing food waste for African farmers. Interview with Claudia in Philanthropy News Digest. The Rockefeller Foundation strategy of adaptability. "What Works: Gender Equality By Design" by Iris Bohnet a book recommendation.